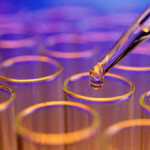 The Endocrine Bio-Chemistry analysis is a Saliva TEST that evaluates hidden endocrine, immunologic, inflammatory and other factors that create disharmony in your system and may contribute to chronic tiredness, burnout, anxiety and depression, inflammation, pain, autoimmune disorders, thyroid disorders and more. For more details click here. 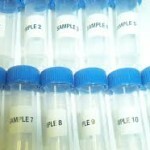 This test offers us a great deal of information, especially for those suffering from unexplained Infertility, polycistic ovaries, Infertility due to insufficient quality, and many others. For more details click here. We believe we may have the key to the medicine you have been looking for, but how do you know? Dr. Murciano offers a free 30 minute personalized consultation to discuss your particular case and explore your options via phone 954.450.4548 or in person via Contact@ NourishingWomen.com.